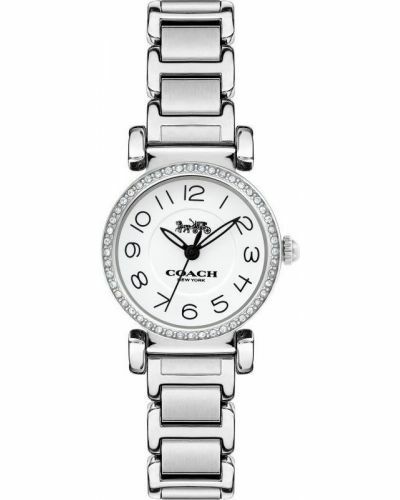 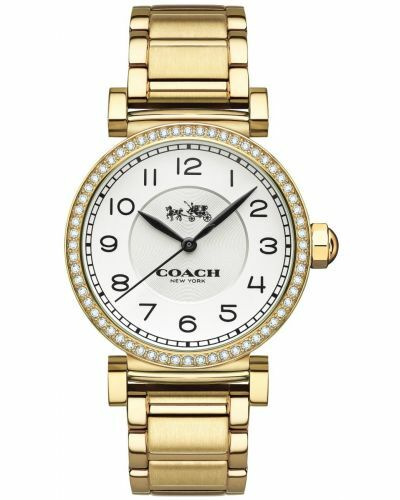 This lovely women's watch is brought to you by Coach as part of their Madison collection and features a classic 32mm polished stainless steel case and bezel. 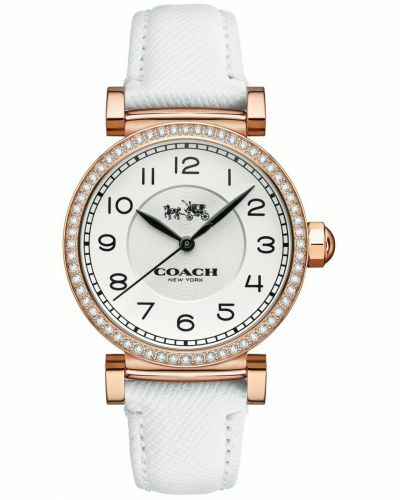 Housed benath protective mineral glass lies the elegant cream dial, complete with bold black Arabic numbers and simple black leaf hands. 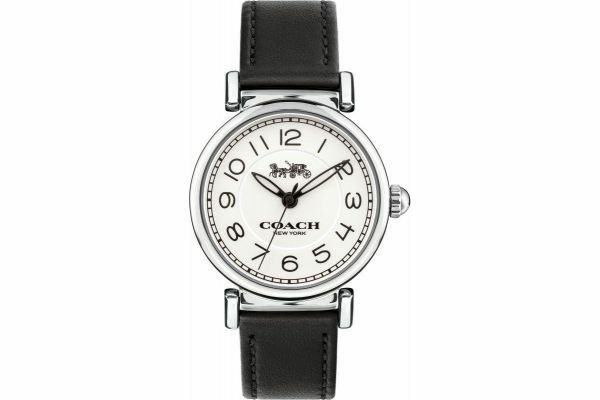 Set upon a simplistic but eye catching black genuine leather strap and fastened by a secure stainless steel buckle, the Madison watch is ideal for both formal and casual wear. 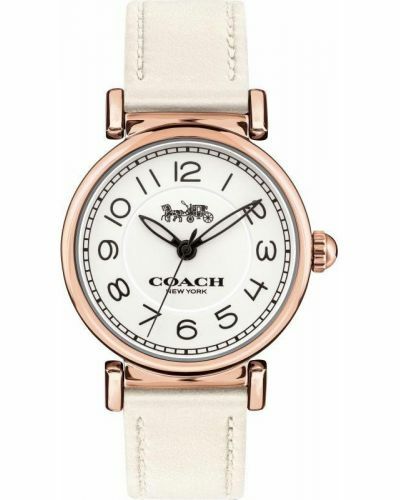 Powered by Quartz movement and water resistant up to 30 meters, the Madison watch comes complete with a two year guarantee and offical Coach packaging. 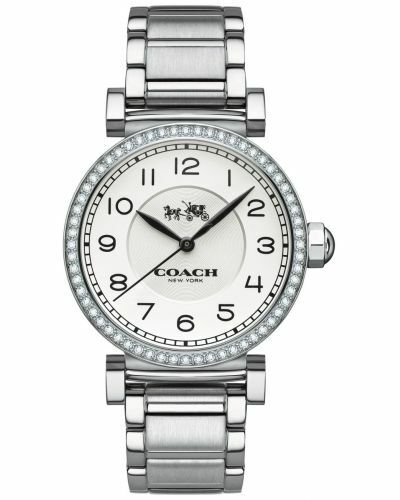 For us to size your new Coach Madison watch as accurately as possible, please take a look at our downloadable Watch Sizing Guide.